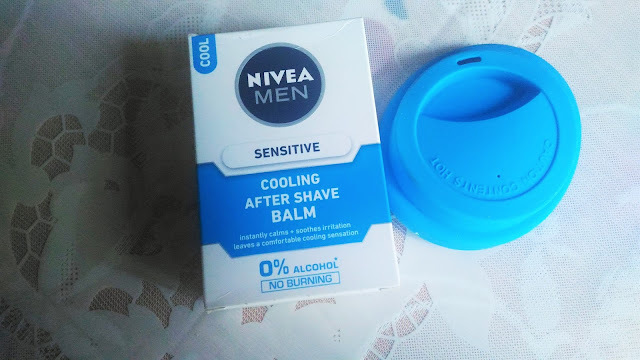 Nivea Sensitive After Shave Balm, Good Primer or Not? Hello beautifuls!! 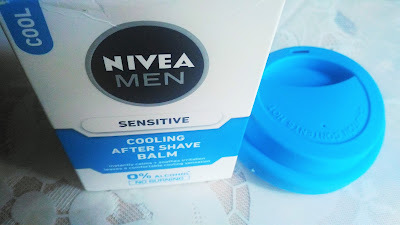 So, today I am going to talk about a much hyped unconventional product, the Nivea Sensitive After Shave Balm. Shaving always leaves damage behind and to ensure that your skin is left damage free is the active comfort system in this soothing balm that includes chamomile for soft and smooth top finish. Leave razor burn and irritation behind after the morning shave using this soothing balm as it gives you a cleansed finish and smoothed skin. Every shave you indulge in and soothe your skin with will build the defense system of your skin up until you are left with no damage but soft and smooth skin until your next shave. The presence of alcohol and colorants can leave exposed pores and your skin affected with irritation or an allergy and this balm ensures you can lay worries of damage like that to rest. With every shave, you will see lesser negative after effects and more healthy characteristics of your skin as the balm heals and leaves your skin looking better and healthy. My experience: So this time I am not going into packaging details. 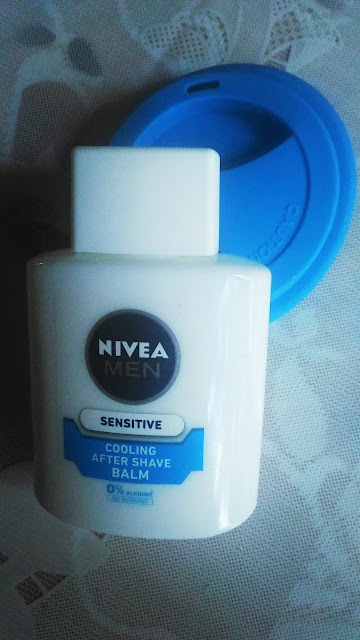 The Nivea Sensitive After Shave Balm is a white lotion with a very men's cologne like fragrance. Although I do not like the idea of smelling like my husband all the time, can't help, anything for the sake of beauty!! So, what is it about this men's after shave balm that is so special? Well, it has been used by lot of beauty experts of late as a primer. And according to them it is an alternative of any high end primer. The plus points about the Nivea Sensitive After Shave Balm is it has no alcohol, it is meant for sensitive skin, it soothes irritation.and it is very inexpensive as a primer. Personally I like the gel based primers that give a velvety finish to the face. However those primers have lot of silicon content, which may not be good for sensitive skin. The gel based primers also makes the skin pores look smaller in size. Now the Nivea Sensitive After Shave Balm softens the skin. It also moisturizes the skin well. A good thing for dry and sensitive skin. It of course does not provide the velvety touch that I look for from primers. And I did not feel it could make the appearance of the pores effectively smaller. 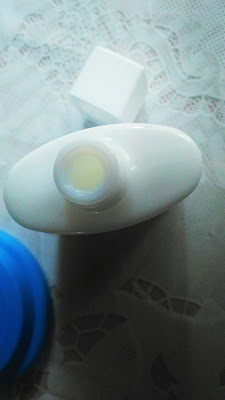 What it does is it softens the skin, leaves it nicely moisturized and gives a pretty glow. The foundation glides on easily and lasts for long time. However, with my gel based primers, even if I do not use pressed powder, the makeup lasts for 4-5 hours straight without even any shine. But here I found that the skin appears to look a bit shiny after just 1 hour, even though I am using the same foundation. Not a pretty experience for me. Nivea Sensitive After Shave Balm as a primer has not done anything great for me. May be it can be of use for extremely dry and sensitive skin. I will give this a pass and instead use a gel based primer. There are some available in local cosmetic stores in affordable price. This one, I will give to my husband, it is made for him.